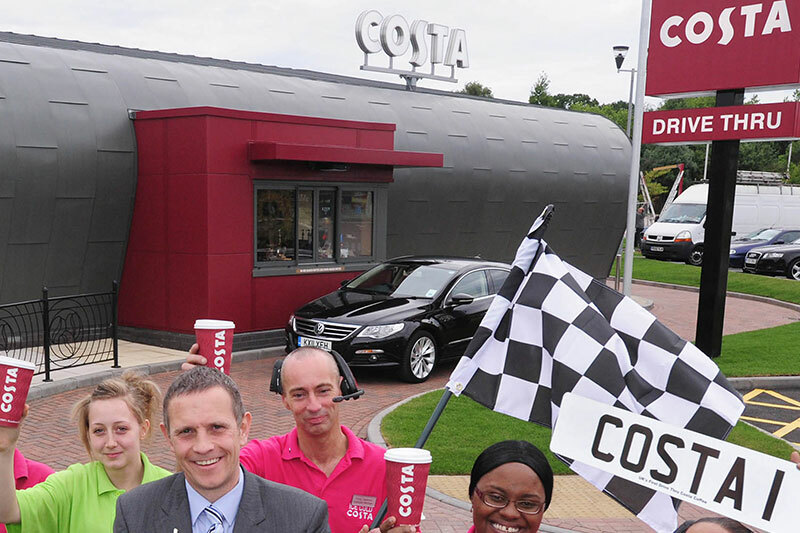 27th May 2011 saw the opening of Costa Coffee's first UK Drive Thru coffee shop at Nottingham's Castle Marina Retail Park. 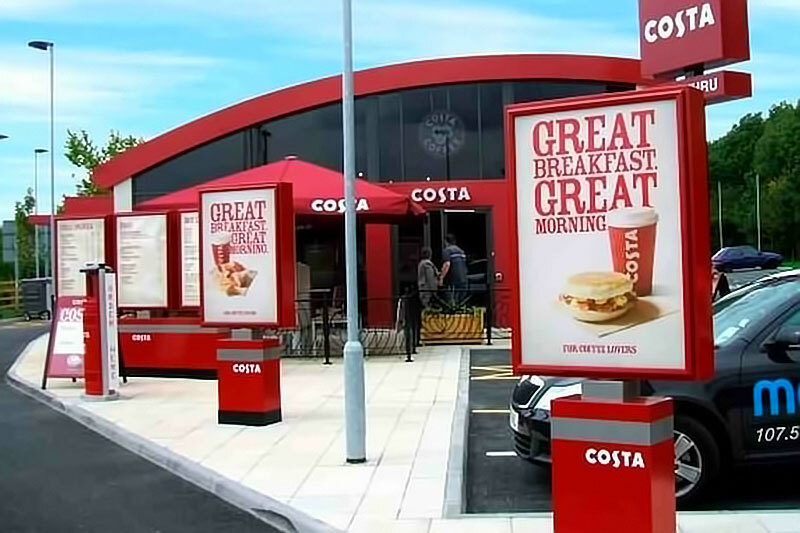 This was followed by the opening of Swindon Drive Thru on 24th June. 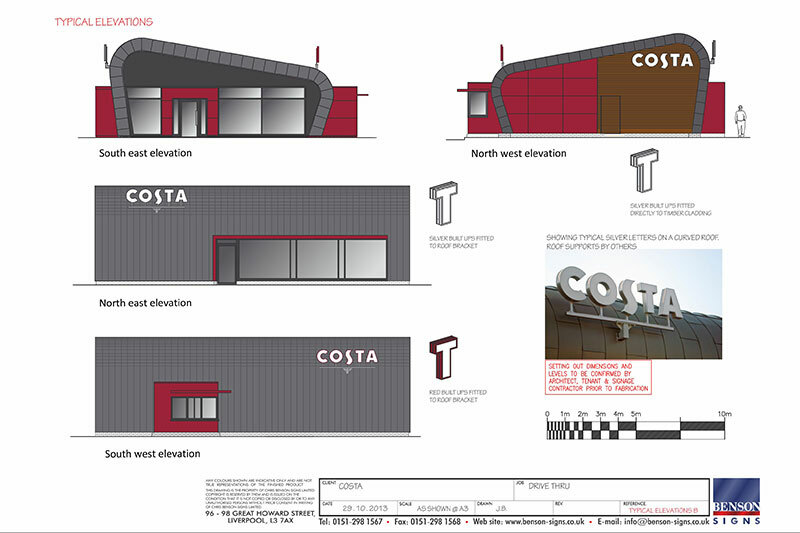 Work is ongoing on the signage production of five more sites with installation planned over the next 12 months. 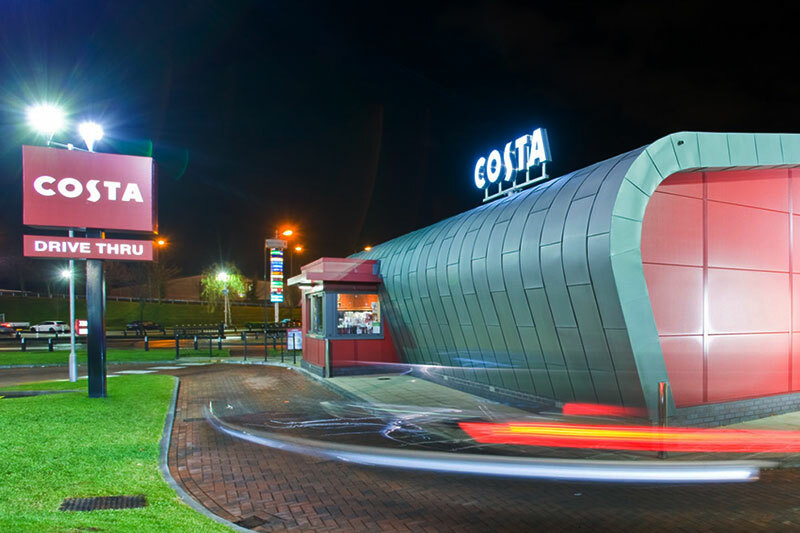 This project saw the use of all our in house production teams, from concept and design to digital printing, metal fabrication, CNC routering, powder coating, workshop assembly and installation. 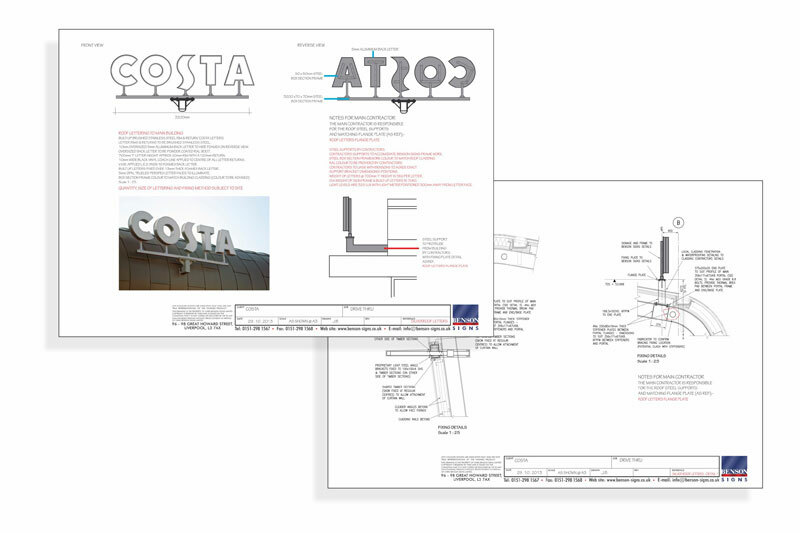 Throughout the two year development process we worked closely with the Architects and Project Management team, producing many drawings and samples, culminating in a high quality bespoke signage package. 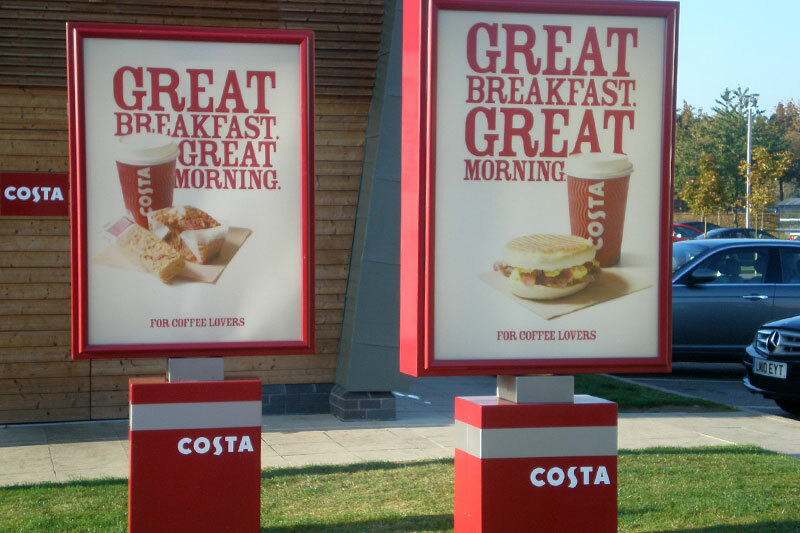 An interesting element of the package is the unique double-sided rotating menu display system, developed to provide a strong design impact and to compliment the Costa Drive-Thru brand. 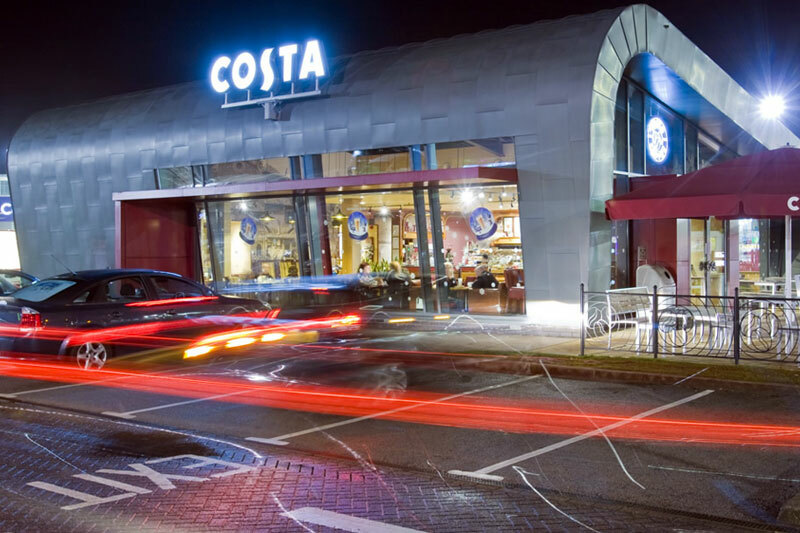 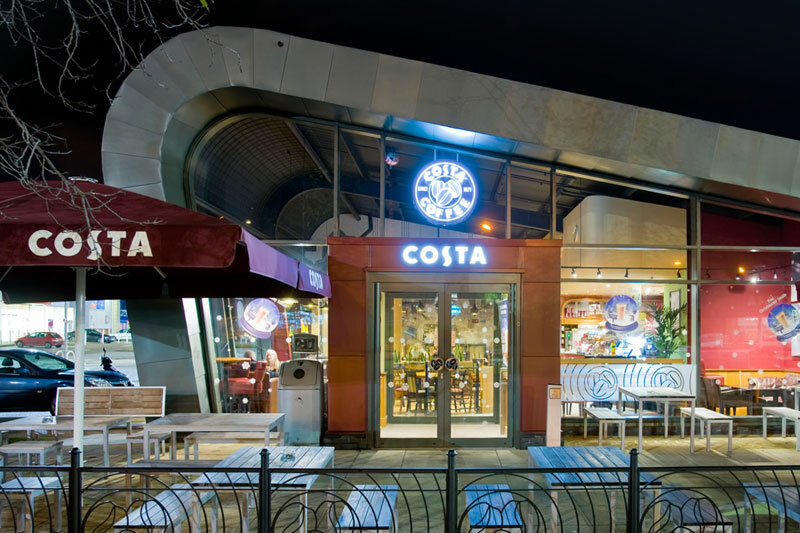 Benson Signs - Signage contractor for Costa Coffee for 23 Years.